To me, much of the most exciting and innovative writing in any language takes place on the margins. Award-winning translator Tess Lewis was first drawn to the Swiss author Monique Schwitter by two “quirky and rather dark” short story collections. Schwitter’s first full novel, One Another, is now an Asymptote Book Club selection, and Tess Lewis tells Asymptote Assistant Editor Chris Power why she couldn’t wait for a chance to translate it to English. In the latest edition of our monthly Book Club interview series, we also discover the roles Rachel Cusk and Jenny Offill played (indirectly!) in translating One Another and learn why a particular type of coffee nearly led to the English edition of the book being published with extensive endnotes. Chris Power (CP): How did you end up translating One Another? Tess Lewis (TL): Monique’s quirky and rather dark short stories in Goldfish Memory and If it Snows at the Crocodile Pen won me over when I read them years ago. So when I had the opportunity in 2014 and ’15 to curate Festival Neue Literatur, the New York City literary festival that showcases fiction from Austria, Germany, and Switzerland, she was at the top of my list of writers. In 2015, the Festival’s theme was “Love and Money,” and because so many of her stories are about the different forms intimacy can take, about connections made and abysses that open up between friends, lovers, family members, and even strangers, she was a perfect fit for the “love” side. In fact, her participation in the festival was a great preview of how deftly she plays with readers’ expectations on a topic as well-trodden as love, sometimes meeting these expectations, sometimes subverting them, and sometimes going off on a tangent. I couldn’t wait for her to finish her first novel—which turned out to be One Another—and am delighted that I was able to translate it. It's like an exorcism and a prayer for long life in one breath. 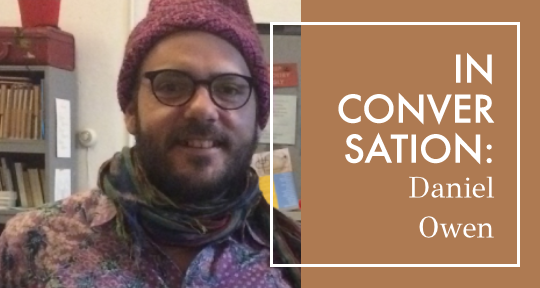 This year’s winner of the Poetry category in Asymptote’s fourth annual Close Approximations Translation Contest was Daniel Owen. Poetry judge Eugene Ostashevsky called Alfizal Malna’s text “intellectual poetry of the highest caliber,” praising Owen for his “elegant, reserved English,” and for offering readers “a beautiful thing of clear obscurity” in his translations of Malna’s Document Shredding Museum. We recently caught up with Yogyakarta-based Daniel to learn more about his work with the legendary Afrizal Malna, the process of “unsomeoneification,” and what he has been up to since winning the Close Approximations contest in January. Sarah Timmer Harvey (STH): I found your translations of Document Shredding Museum to be incredibly beautiful and inviting; no easy feat given the complexity of Malna’s writing. How did you first come to Afrizal Malna and his work? Daniel Owen (DO): I met Afrizal at Kampung Buku Jogja, an annual literary event in Yogyakarta with a book fair, readings, and discussions. I had just come to stay awhile in Jogja to intensively study Indonesian language and to read and subsequently translate Indonesian literature. While my Indonesian was okay when we first met, I hadn’t yet read much and was quite ignorant of the literary landscape. We were introduced by my friends, the writers and small press publishers Lelaki Budiman and Tiaswening Maharsi, after Afrizal’s discussion on theater and poetry with Gunawan Maryanto. I bought a copy of his new book of short stories, Pagi Yang Miring Ke Kanan (Nyala, 2017) and we chatted a bit. Following our initial meeting, I started reading Afrizal’s work pretty intensely, the short stories along with poems I found on the internet, and then his book of essays Sesuatu Indonesia. I found myself entranced by the poems; it was like encountering something extremely familiar yet at the same time novel. That kind of tickling of the sensibilities that’s both troubling and pleasurable, takes you, as a reader, outside yourself while making you feel more yourself. I started translating these poems which I’d found online, primarily to see what would happen and to share them with non-Indonesian-speaking friends who asked about what I was reading, thinking about, engaging with. And then I borrowed Museum Penghancur Dokumen from Budiman, read the whole thing and started translating it. I just want to speak the truth because I cannot stay silent about the pain affecting others. Radka Denemarková is a unique phenomenon on the Czech literary scene. A true polymath, she has written plays, scenarios, short and long novels, a double novel that can be read from both ends, translations, and essays. On April 7, she was awarded the Book of the Year award at the Magnesia Litera ceremony, making her the only four-time winner of the most prestigious literary award in the Czech Republic. Her most noticeable works include Money from Hitler (2006), which tells the story of a Holocaust survivor who returns to her home village in Czechoslovakia only to be denied existence; Sleeping Disorders, a humorous play featuring Virginia Woolf, Sylvia Plath and Ivana Trump; and A Contribution to the History of Joy (2014)—of which Asymptote published a partial translation—a reflection on violence disguised as part essay, part crime novel. Finally, her most recent novel is Lead Hours, a major work expanding over 700 pages, spanning China and Europe, and exploring the fate of a series of characters witnessing the crumbling of their value system as they face life crises. 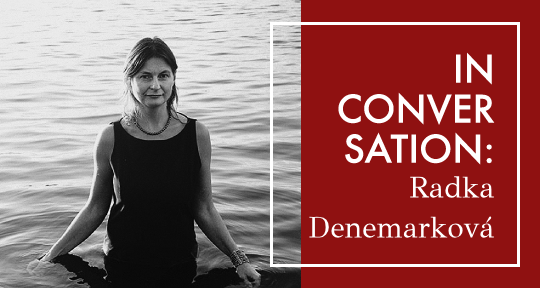 Denemarková was also featured in Asymptote as a translator, and is now translated into over fifteen languages, including Chinese. She is currently working on her next novel. Filip Noubel (FN): Your latest novel, Hodiny z olova, which can be translated as Lead Hours, just came out in January. What does the title refer to, and why is China such a prominent theme in this 700 page-long major work? Radna Denemarková (RD): The reason for China being the center stage of my novel comes out of a series of trips I made to that country, the first in 2013. I was literally shocked by what I experienced there: the breaking down of a socio-political system combined with the consequences of globalization, and how all of this affects us in the most intimate way. Initially, I had a very idealized notion of China, shaped by the little knowledge I had about its poetry, calligraphy, and philosophy. What I hadn’t expected at all was the brutality of daily life. It’s the fact that it’s been this vibrant text for millennia that makes it such an important text for us to read today. Today’s post is the first installment in our new blog series, “Classic Texts in Translation,” in which we speak with scholars and experts about the challenges of translating canonical texts from around the world. 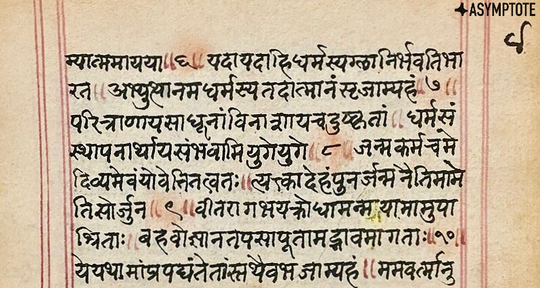 In today’s interview, Assistant Blog Editor Nina Perrotta talks with Professor David Buchta of Brown University about the Bhagavad Gītā, an ancient Sanskrit text that forms part of the larger epic poem known as the Mahābhārata. Their conversation touches on the specific difficulties of translating complex philosophical and theological terms from Sanskrit into English, the questions around authorship that make interpreting classical Sanskrit texts particularly challenging, and the reasons that the Bhagavad Gītā has been such an influential text, both within India and around the world, for millennia. Nina Perrotta (NP): I want to start off by asking you, in a general way, about some of the biggest challenges of translating Sanskrit into English. David Buchta (DB): Sure. In some ways, it’s a hard question to answer in a general way, just because you’re talking about this language that has such an enormously long history, such a huge library of literature, and such a wide range. This would be the same for Latin or Greek—the kinds of challenges you face in one genre versus another are going to be radically different. On the one hand, you’ve got these poems that have two meanings simultaneously, and that obviously is going to introduce one whole set of translation challenges. I often say this about Sanskrit: it’s such a highly cultivated language. In other words, the people who used the language cared about it, thought about it, put their time and energy into developing its toolbox. As a result, if you’re a skilled writer, you can, if you want to, be extremely precise and unambiguous, or you can be extremely ambiguous. There are these poems where you can tell seven stories all at once. It just depends on how the words are interpreted, whether the same sequence of syllables is broken into two words or three words, for example. You have these different ways that you can go if you’re skilled enough at using the language. That’s what I want for Jabuticaba. We do not want to grow. We just want to keep doing good books. Marcelo Lotufo is a literary translator and founder of Edições Jabuticaba, an independent Brazilian press with a unique focus on poetry in translation. 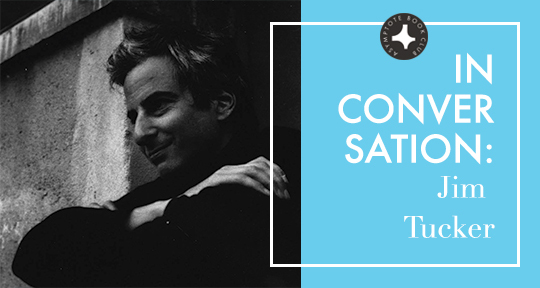 In today’s post, he sits down with Asymptote’s Editor-at-Large for Brazil, Lara Norgaard, to discuss the burgeoning indie publishing scene in São Paulo and the role of translation in Brazilian literature. Lara Norgaard (LN): What was your vision when your started Jabuticaba? How did you see it fitting into the Brazilian publishing scene? Marcelo Lotufo (ML): I had the sense that an indie scene was starting in Brazil. Lote 42, for instance, was a press that had started a few years before Jabuticaba. Editora Patuá had started around the same time. And Marília Garcia, who is a poet, she and her husband, Leonardo Gandolfi, who is also a poet, also started a press, LunaParque. The scene had been around for four, maybe five years before Jabuticaba started. Before, there were some smaller presses that didn’t last for very long. People would start self-publishing and then a bigger press would invite them to their offices and then they would close the press. You saw that happen with Daniel Galera and other groups. Poetry has always been sidelined, though. Brazil doesn’t have a big poetry market in the big presses, so smaller presses tend to crop up and do a lot of poetry. 7Letras and Azougue, which are both from Rio, have been around for almost twenty years and they’ve done a lot of poetry. But for a long time there wasn’t exactly a scene. A tenth-century resident of Baghdad could read Arabic versions of just about everything by Aristotle that we can read today. The great Islamic conquests of the seventh and eighth centuries changed the Near East and beyond politically, culturally, and, in a particularly profound and lasting way, linguistically, resulting in the near hegemony of the Arabic language. This new Islamic world took shape around an original and powerful new religion, but the consolidation of an Islamic civilisation was also a period of immense cultural exchange and mutual influence, not only from fellow Abrahamic traditions such as Judaism and Christianity, but also from the world of classical Mediterranean antiquity. 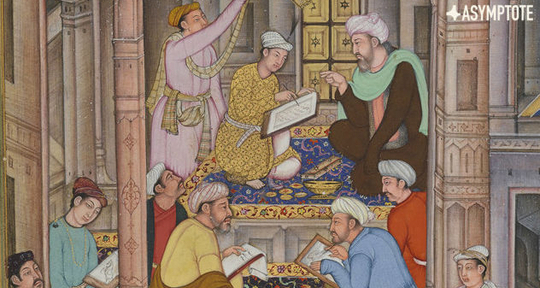 Indeed, while knowledge of classical Greek science and philosophy fell into virtual oblivion in the Christian West, Islamic scholars kept the tradition alive by means of large scale translation projects and sophisticated philosophical works, from the Persian Avicenna to Baghdad’s legendary house of learning and the Andalusian polymath Averroes. In this interview, Professor Peter Adamson of the Ludwig-Maximilians-Universität München talks us through this fascinating and often overlooked period in philosophical history by exploring the works of translation that made it possible. Jonathan Egid (JE): By the time the grand translation projects of the early Islamic world began, the wonders of classical Greek philosophy had attained the status of ancient wisdom, almost one thousand years old and already much discussed and much translated. How did the works of Greek thinkers come to be translated into Arabic, and what was the interest in these ancient and foreign ideas? Peter Adamson (PA): This was a process that unfolded over the course of centuries. The translation movement begins already in the eighth century CE and continues well into the tenth century. It was basically an initiative of the elites under the Abbasid caliphate, including even caliphs themselves and the caliphal family, who also had philosophers as court scholars. For instance, al-Kindī, the first philosopher to make explicit use of Hellenic materials in his own writing, was tutor to a caliph’s son and dedicated his most important work to the caliph himself. The translators were well paid experts, so this was a very deliberate and expensive undertaking managed from the top down. It should, however, be said that it was not something that was undertaken in a vacuum. For quite a long time there had already been translations made from Greek into Syriac and other Semitic languages, and these were a model for the Arabic translations (sometimes literally: it was known for works to be translated first into Syriac for the purpose of making an Arabic version on that basis). Also I would say the translation movement had a kind of momentum of its own: whereas at first the texts to be translated were really selected by the elite and for a variety of practical or political motives, eventually they get to the stage where they are translating the entire output of certain thinkers, or at least everything they can get their hands on, in a kind of completist project. So for instance, one of the greatest translators, Hunayn ibn Ishaq, was clearly trying to translate whatever he could by Galen, the most important Greek medical authority, while his son Ishaq ibn Hunayn worked his way through Aristotle. Characters can take on a life of their own as you write them, and that can hold a great amount of interest and suspense for me. In late 2016, the Guatemalan publishing house SOPHOS put out Rodrigo Fuentes’s literary debut, entitled Trucha panza arriba. The book follows, sometimes closely and at other times tangentially, Don Henrik, a white landowner living in Guatemala, and the way his decisions and economic and emotional downfall affect those around him. The book includes intense dramas like “Dive”—available in Asymptote’s Winter 2019 Issue—and “Ubaldo’s Island”; vibrating suspense stories like “Whisky”; and profound character explorations like “Henrik.” And all of them are wrapped in exquisite dialogue, like “Terrace,” my favorite story. I told Rodrigo it was my favorite. “Really?” Rodrigo said, somehow confused. I would say translating allows the translator to find new parts of him/herself, instead of leaving parts behind. Erik Noonan (EN): Discussing the role of the translator in your statement for the National Endowment for the Arts, you say that “In a globalized world, while we know more about many parts of the world that we didn’t have access to previously, often what we know seems to get cemented quickly into easy stereotypes. Then, in a way, we don’t know much more at all; we just know what we think we know.” Dealing with the potential of certain texts to expand our knowledge of the world, you also say, in a piece in The Los Angeles Review: “While university presses help by publishing some of these [truly exotic] works, they don’t take on others: the manuscript must match a list, and this list consolidates established emphases of teaching and research.” Your work includes research and teaching in the Comparative Literature Department at UCLA, I believe, as well as translation. How is your teaching related to your research and your translating, and has that relationship changed in any way over time? Matt Reeck (MR): I’m interested in many things, and they don’t all necessarily fit anyone’s idea of a single pursuit, a single trajectory, a single work. But they do for me. They are unified by being the things I’m interested in! It would be nice to be able to teach things that match my translating interests and my research interests, but to date I’ve been able to do that only here and there. Fingers crossed this will change soon. I guess since I wrote a book about the Nuyorican poets, I have to think of myself as a teorista del flow—a theorist of flow. 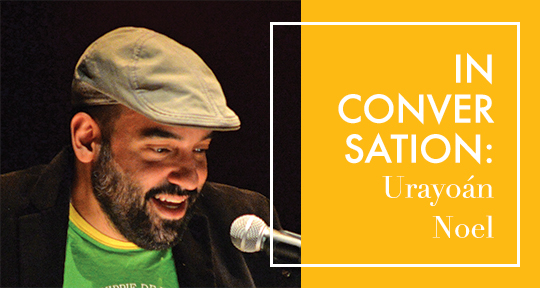 Urayoán Noel has translated Garifuna poet Wingston González. I have too. His translation was for Ugly Duckling Presse (UDP). Mine was for Asymptote and Simon Fraser University. He grew up in a Spanish-language environment, yet speaking English. I did too, sort of. He’s a poet. I tried to be one. He’s puertorriqueño. I’m guatemalteco. He’s got a Ph.D. Yo no. We both like hip-hop. The three of us—Wingston included. I knew Urayoán because of Los días porosos, a book of poetry he put out with the Guatemalan press Catafixia. I remember liking the cover, and being blown away by his use of Spanglish—this was a time when I had only seen this kind of linguistic duality in the lyrics of musical acts such as Cypress Hill and Rage Against the Machine. I knew Urayoán because of his poetry. He knew of me because I sent him an email saying that I had read his translation of Wingston’s poems, entitled No Budu Please, for UDP and that I wanted to interview him. I thought it’d be interesting to match up two translators who had worked with the same poet. See if our process and approach were alike. Admittedly, I wanted to know if, in any way, Wingston’s electricity had affected us similarly. Look before . . . you enter the lion’s den. Which is the home address for translation, a job that can only be done wrong. Zsófia Bán’s Night School, “a textbook like no other,” is among the most playful of our fourteen Asymptote Book Club selections so far. In keeping with the book’s “defiant irreverence,” its English translator, Jim Tucker, agreed to ditch our regular interview format and temporarily become one of Night School’s pupils. Each chapter of Zsófia Ban’s textbook ends in a series of questions or assignments, each with a winning mixture of pure zaniness and profound resonance. Here, Jim Tucker answers a set of questions from his own English translation of Night School. Complete the following sentence: Look before . . .
Jim Tucker (JT): Look before . . . you enter the lion’s den. Which is the home address for translation, a job that can only be done wrong. It’s a miracle that you can make a living at it. Similar to prostitution (“Oh yes, mister, whatever you say”) except it pays a lot less, and you don’t get out as much. It seems to me that people today tend to underestimate Eros in literature when it’s obvious that the best books are full of it. Asja Bakić’s short-story collection Mars, translated by Jennifer Zoble, is slated for release by the Feminist Press in March of 2019. Though she’s a prolific poet, short-story writer, translator, and blogger in the former Yugoslavia, Mars will be her first publication in English. Bakić grew up in a turbulent Tuzla, Bosnia, lives now in Zagreb, Croatia, and laments the limitations that national borders place on literary exchange. The twists and turns in her speculative narratives leave readers suspended in a heady no-man’s-land between Earth, Mars, and the moon; life, death, and purgatory. 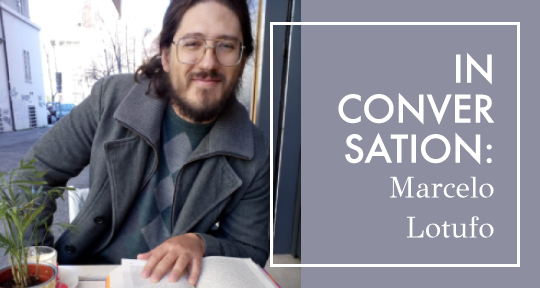 Bakić speaks with Asymptote’s Assistant Editor Lindsay Semel about translation, Eros in literature, and the proliferation of ideas. Lindsay Semel (LS): You often participate in literary events around the former Yugoslavia and Eastern Europe. Can you tell me about what you’re seeing there? What interests or bothers you? What trends are emerging? Which voices are notable? How is it different for you, interacting in virtual and physical spaces as an artist? Asja Bakić (AB): Well, I am seeing my friends. We all know each other. Most of us were born in the same country in the eighties; the language is still the same if you ask me. It doesn’t matter if I go to Belgrade, Novi Sad, Skopje or Tuzla—it feels like home. The problem is that the crude political divide doesn’t let us read each other the way we should. I try to pay attention to what is published in Serbia, Bosnia, and Montenegro, but I fail miserably. The borders do not let books go through, so you have a Croatian author who must publish their book in the same language three times—for the Serbian, Bosnian, and Croatian markets, which is ridiculous. We have four versions of Elena Ferrante. Do we really need to publish the same book repeatedly? Wouldn’t it be better if we were to translate and publish different and new voices? That is why I prefer the internet. You find your friends there, you read each other, you comment—it is livelier. The internet is more real nowadays, because it doesn’t try to deny common ground. Weronika Gogola is a Polish writer and translator from Slovak and Ukrainian. Her first autobiographical book Po trochu (Little by Little, 2017), which depicts her childhood in the small village of Olszyny in the Carpathian mountains, is composed of “stories from real life that are usually told bit by bit, in snippets and fragments.” The book was nominated for several literary prizes and in October 2018 won the Conrad Award for a prose debut. 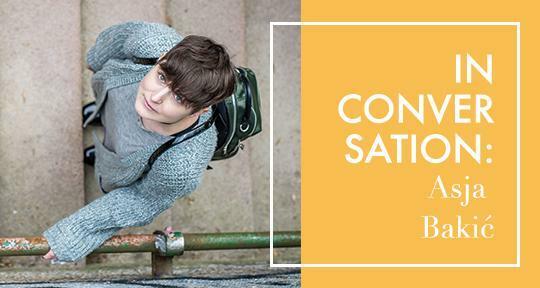 For the past three years, Gogola has been based in Bratislava, where Julia Sherwood, Asymptote’s Editor-at-Large for Slovakia, caught up with her last November. 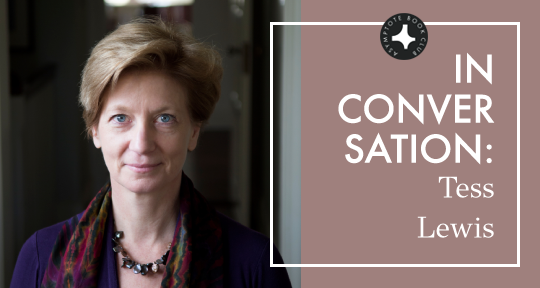 Julia Sherwood: First of all, congratulations on winning the Conrad Award! I loved your book and think that the prize was more than deserved. What does it mean for you? 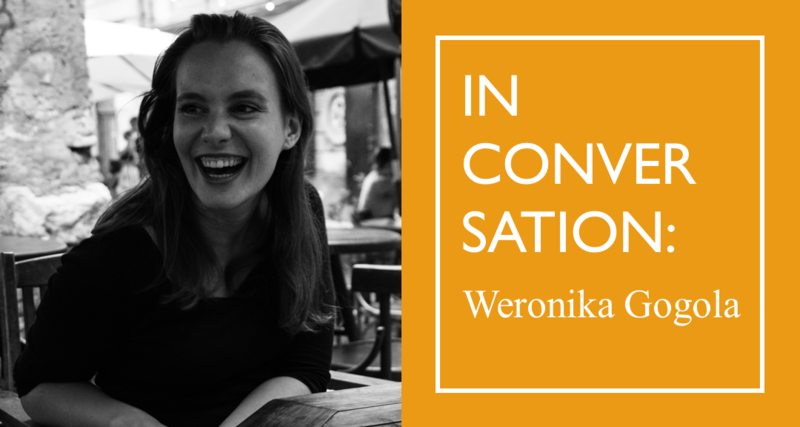 Weronika Gogola: This award is incredibly important to me, especially since, in the case of the Conrad Award, it’s not just the judges who decide but, first and foremost, the readers. I’m incredibly grateful to them. Besides, a prize is a kind of validation, as well as a bargaining chip for the future. I know that sounds unfair but that’s how the world works—the more prizes and nominations you have the more seriously you are taken. Unfortunately. But, of course, it’s nice to be appreciated. In addition, the Conrad Award includes a grant, which has allowed me to concentrate on my writing without financial worries. JS: Your book is very firmly located in the world of your childhood. You grew up in a small village in rural Poland, yet ended up living abroad, and are currently based in Slovakia. Were you already living abroad while working on your book, and did the geographical distance give you a new perspective on the place, or did this make the writing more challenging? I think poetry and translation have always been intertwined. Alexander Dickow has been Asymptote’s Communications Manager since April 2017. 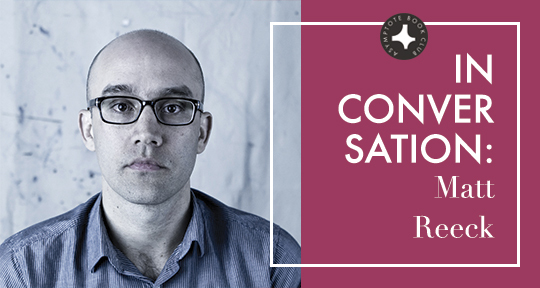 He is also a talented translator: in 2018, he received a prestigious PEN/Heim Translation Fund Grant to translate Sylvie Kandé’s Neverending Quest, and was a runner-up in Asymptote’s 2013-2014 Close Approximations Translation Contest. As a scholar at Virginia Tech, Alexander Dickow specializes in French and Francophone literatures and cultures. And as if all of these activities didn’t keep him busy enough, he’s also a respected bilingual poet. 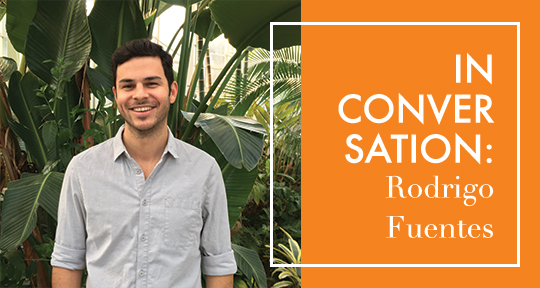 He published his very first book, Caramboles, a French/English bilingual poetry collection, with publisher Argol in 2008, and a French poetry collection, Rhapsodie curieuse, with Louise Bottu in 2017. His first poetry collection in English, Trial Balloons, appeared in 2012 with Corrupt Press, and his latest work, Appetites, has just been published in 2018 by MadHat Press. 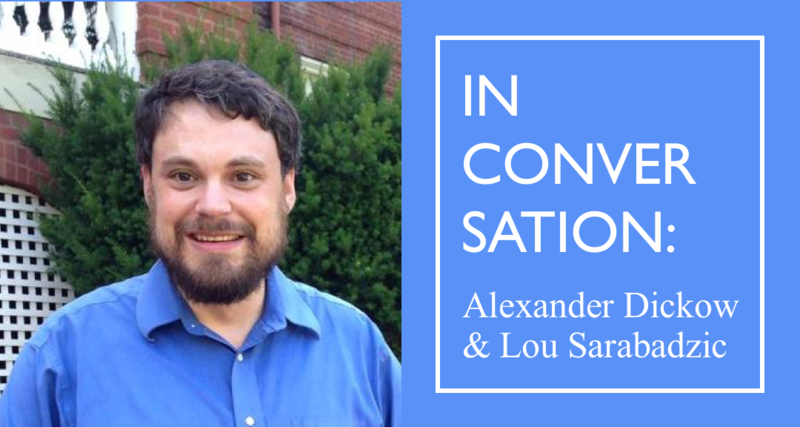 As a bilingual poet herself, Asymptote’s Assistant Managing Editor (Issue Production) Lou Sarabadzic wanted to know more about his views on multilingualism, poetry, and the creative process. Lou Sarabadzic: Your latest collection, Appetites, has just been published by MadHat Press. 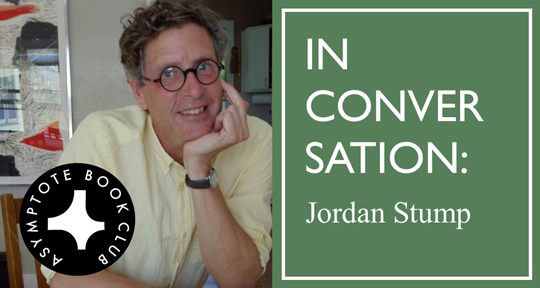 In a 2016 interview, you said that you were “fatally allergic to titles.” However, with such a strong theme connecting your poems, eloquently announced by a single word, “Appetites,” I have to ask: what came first? Was it the collection’s title? The idea? Or individual poems which happened to share this common theme? Alexander Dickow: The poems came first—I wrote a whole slew in a short period, maybe a month, with the culinary themes. It occurred to me at some point that more or less everything I’ve done is related in some way to eating: my first book was Caramboles, which designates the starfruit, among other things, and it contains a culinary poem or two also, and Rhapsodie curieuse, in French, is based around the central emblem of the persimmon. My first publisher found the title Caramboles, but the others were my choice. So I guess what came first was the obsession—then the poems, and then the actual title. Of course, food is what I refer to elsewhere as a “paravent” topic—i.e. it’s a vehicle for talking about something else, much like love or politics as subjects of poems. The words on the page told me everything I needed to know. Already broken a few New Year’s resolutions? How about making one you’ll really enjoy? Like reading the world with Asymptote Book Club, now open to E.U. residents! It’s still not too late to pledge to read adventurously in 2019: Sign up for the Asymptote Book Club by Jan 16 and receive your first book in January! Alyea Canada (AC): How did you come to translate The Barefoot Woman? What drew you to Scholastique Mukasonga’s work in general and to this book in particular? Jordan Stump (JS): It was Jill Schoolman who introduced me to Mukasonga’s work, not long after Notre-Dame du Nil was published. I was immediately taken by it, so when the chance to translate Cockroaches and The Barefoot Woman came along, I leapt at it immediately. I translate books that say something in a way that strikes me as so perfect I want to try to say it myself—like learning to play a piece of music you particularly love instead of simply listening to it. Reading is like listening; translating is like playing. There are always many reasons why a given book has that effect on me, but in this case I loved the sharpness of Mukasonga’s eye, the graceful construction of her chapters, the way a story wrapped up in unimaginable loss is told with a little smile, and the way in which that smile sometimes abruptly disappears.